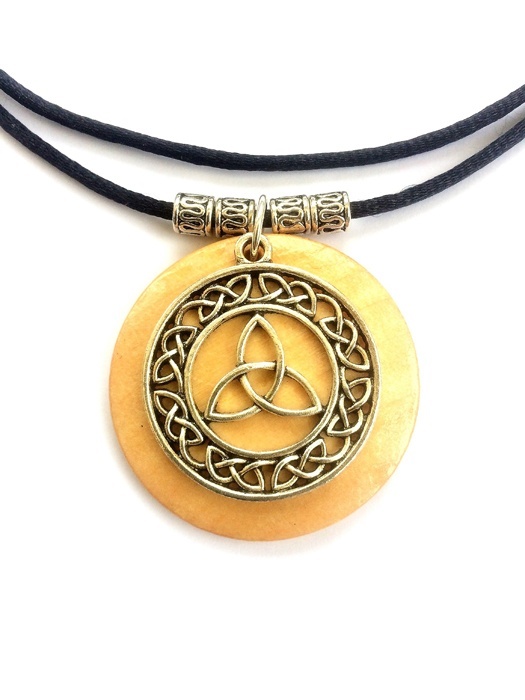 This hand-polished wooden pendant necklace features a beautiful Celtic knot and patterned beads. Hanging from black satin cord complete with a silver-plated extension chain at the back, the necklace can be worn two ways: doubled up choker-style or as a single, longer necklace. Cord approx. 78cm. Please ask if you would like a different length.